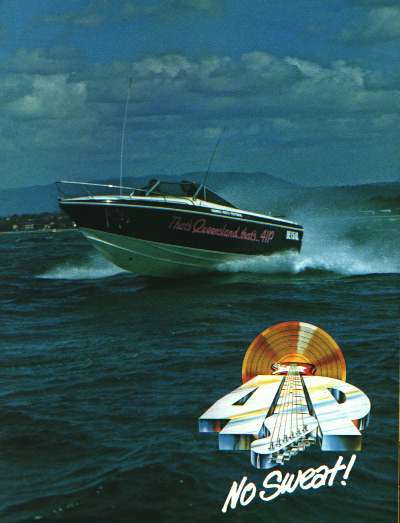 This entry was posted in 4IP, 70's radio, Andrews Legends on the Mic, Radio station and tagged 4IP, 70'S, Aircheck, Brisbane, Classic rock, Jingle, Kevin Hillier, Roxy Music Manifesto, scoped, Trash on February 2, 2015 by andrew. This entry was posted in 4IP, 70's radio, Radio station, Station promo's and tagged 1008 4IP, 70'S, Aircheck, Brisbane, Elvis promo, Michael Dalton, Molly Meldrum paid ad on January 28, 2015 by andrew. This entry was posted in 4IP, 70's radio, Andrews Legends on the Mic, Historic radio, Personalities, Radio station and tagged 1008 4IP, 70'S, Brisbane, Gary Suprain, Jim Pike., promos on January 15, 2015 by andrew. This entry was posted in 4IP, Radio station, TV and Cinema ads and tagged 4IP Color radio cinema, 4IP Here comes the Music 1008, 70'S, Brisbane, Grant Goldman, Jingle, Phil Moroney on January 12, 2015 by andrew. The Steve Miller giveaway was just a standard station & record company promotion. What is special to me is being reminded of the era when a radio station was seen as a complete 24/7 unit. Networking changed the emphasis to promoting specific shifts (usually Breakfast & Drive) and specialised on air “crews”. These days the rest of a stations content is merely mediocre filler between those key shifts. At the time 4IP had a strong line up across the day/night so it was not unusual for a promo (EG: Steve Miller / Island Broadcast etc) to feature many individual jox of equal status. The Miller spot reflects the “all for one, one for all” fun nature of the station which was often helped by the comic script writing and voice performance of Jim Pike. This entry was posted in 4IP, 70's radio, Personalities, Radio station, Station promo's and tagged 4IP, 70'S, Brisbane, Colin Mooney, Jim Pike., Keith Fowler, Kevin Hillier, promos on November 3, 2013 by andrew. This entry was posted in 4IP, 70's radio, Imaging, Radio station and tagged 31 Days of Rock, 4IP, 70'S, Brisbane, ROCKTOBER JINGLES on October 8, 2013 by andrew. This entry was posted in 4IP, 70's radio, Jingles and tagged 70'S, Brisbane, Jingle, winteradio on June 4, 2013 by andrew. “Nice to see lots of interesting material from a variety of contributors popping up on the Antenna. Also good to see you maintaining contacts and pics with Charlie Fox, Jimmy Barnes etc etc. Don’t have any info re: sherbet concert itself except it must have been circa 1978/79. It would have been a routine station promotion. Promo one is as you suggested Darryl Braithwaite and Gary Roberts. The voice over is Kevin Hillier. I can see why you might think it was John Torv. The style is very similar but Torv had a pseudo Californian/America rolling R’s accent twist to his reads which instantly gives him away. This entry was posted in 4IP, 70's radio, Imaging, Radio station, Station promo's and tagged 70'S, Brisbane, Classic rock, Darryl Braithwaite, Gary Roberts, Kevin Hillier, promos on May 1, 2013 by andrew. This entry was posted in 4IP, 70's radio, Radio station, Station promo's and tagged 1976, Aircheck, Brisbane, Classic rock, Easter, John Torv, promos on March 28, 2013 by andrew.